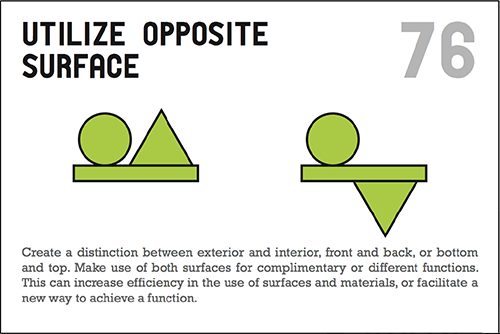 The Design Heuristics are a result of combined outcomes from research studies, including protocol studies of industrial and engineering designers at varying expertise levels and extractions of characteristics of award-winning products. 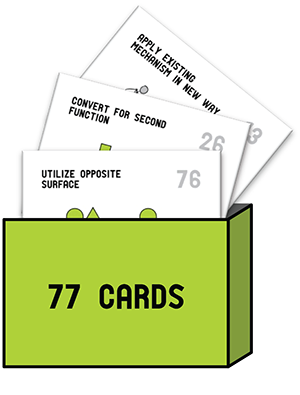 Seventy-seven heuristics resulted from the set of studies and are each represented on a separate card. 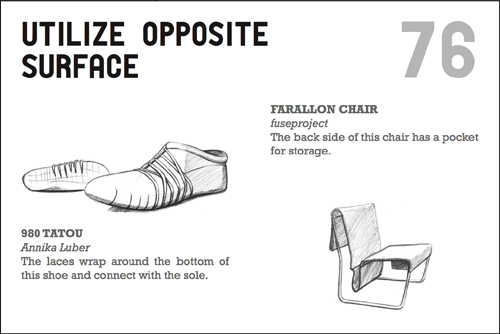 Each card includes a description of the heuristic, an abstract image depicting the application of the heuristic, and two sketches that show how the heuristic is evident in existing consumer products.